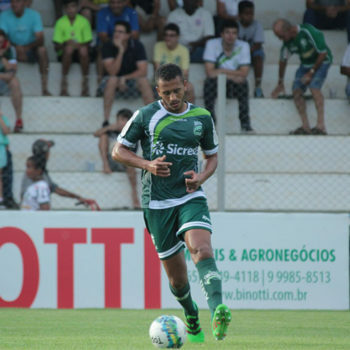 With the advantage in the quarterfinals of Mato Grosso Championship, Luverdense EC, from Pablo defender, can stamp on Wednesday night, at 8:10 pm, at Passo das Emas, his presence in the semifinal of the competition. In the first leg, at the Arena Pantanal, the team hit the Mixto by 3-1. And for today’s duel, defender Pablo bet on the evolution of the team in recent games, when Luverdense improved their performances and grew up in the competitions that dispute. “The expectation of this game is very great. Before the first game of the quarterfinals we came from three games without winning. So, we put the first game of the quarterfinals as a major objective to restore our confidence. And the team was focused to get the advantage, and we got. The team has evolved and we intend to maintain the same level in Mato Grosso Championship and in the Green Cup”, said Pablo.